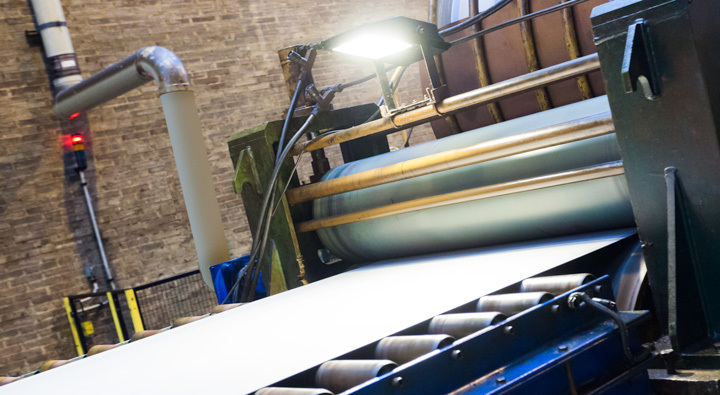 The 136 metre long pickling line, with hydrochloric acid as pickling agent, achieves optimum surface cleaning qualities, leaving the strip completely dry for subsequent oiling, eliminating oxidation hazards. At the end of the line, there is a slitting machine, which makes it possible to transform the coil into strips without unnecessary transfers. The line has capacity for coils of 1650 mm wide, with thicknesses from 1.5 to 7 mm with a maximum weight of 27 tons. It is used to strip all the materials that will be re-rolled in our factory; to make maquilas for third parties and to obtain straps and pickled plates that will be marketed later. 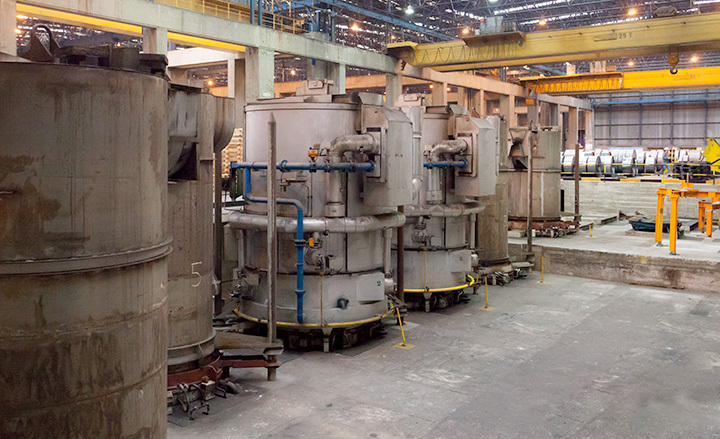 Our facilities consist of two reversing 650 mm SENDIZIMIR cold rolling mills. Thanks to them we can produce very fine tolerances in all thickness range. Our manufacturing range is between 0.20 mm. and 3 mm. gauge and between 10 mm. and 650 mm. widths. Inner diameters are 400-508 mm depending on the product. Our EBNER furnaces are fully automatic, use natural gas and a 100% hydrogen atmosphere that allows equalising the temperature in the whole coil, thereby obtaining identical mechanical characteristics all through it. In addition, contractions and dilatations that cause mark and scratches on the coil surface are avoided with this process. Thanks to the properties of the hydrogen, the surface we get is extraordinary clean of oils and other waste. We have skinpass facilities that provide the materials with a slight surface hardening but without the modification of any of the mechanical properties of the material. At the same time, this helps by giving a smooth surface within the roughness our customers would demand. For the transformation of our precision cold rolled, galvanized, electrozincated and pre-coated coils, we have different slitters and a cut-to-length facilities where we produce the final dimensions our customers require. Our capabilities are: From 10 mm. to 1,650 mm. width and from 300 mm. to 6,000 mm length.